Knit and be proud to say "I did it"! Canut is a shawl worked laterally with garter stitch and brioche stitch. The i-cord border gives a nice finished touch. The shawl is easily adaptable to your amount of yarn. 82.5”/210 cm wide and 27.5”/70 cm height. 3,5mm (US4) needles or size to obtain gauge. 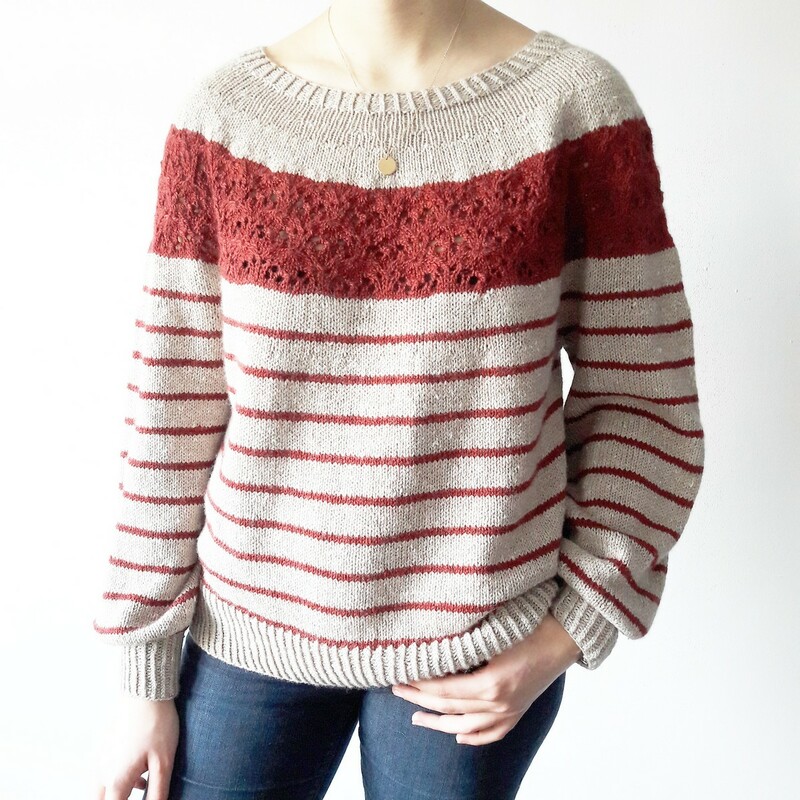 Sirell is a round-yoke sweater with stripes and a nice lace pattern on the yoke. This sweater is worked seamlessly from the top down. Some short-rows are worked for the neck shaping. The sleeves stitches are placed on hold and the body is worked in the round. Then, the sleeves are worked in the round too. XS (S, M, L, XL, 2XL, 3XL) for a finished bust circumference 38 (42, 45.25, 48.75, 51.25, 55.5, 59.25)“/95 (105, 113, 122, 128, 139, 148) cm with about 8-10”/20-25 cm of positive ease. Waste yarn to put on hold. 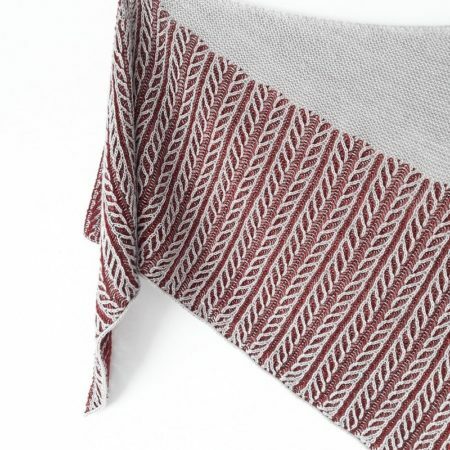 Sekoï is a shawl worked laterally with stripes in garter stitch and a two-coloured textured stitch. The Latvian braid border gives a nice finished touch. 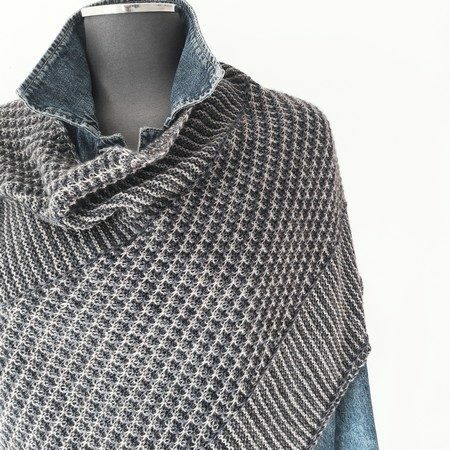 It is also an unisex shawl. 77”/196 cm wide and 23.5”/60 cm height.